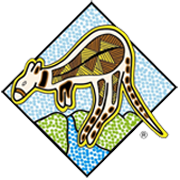 Fudge of the week – Grandma’s Ginger – Kangaroo Valley Fudge House & Ice Creamery | Multi Award Winning Confections …hand made the old fashioned way! 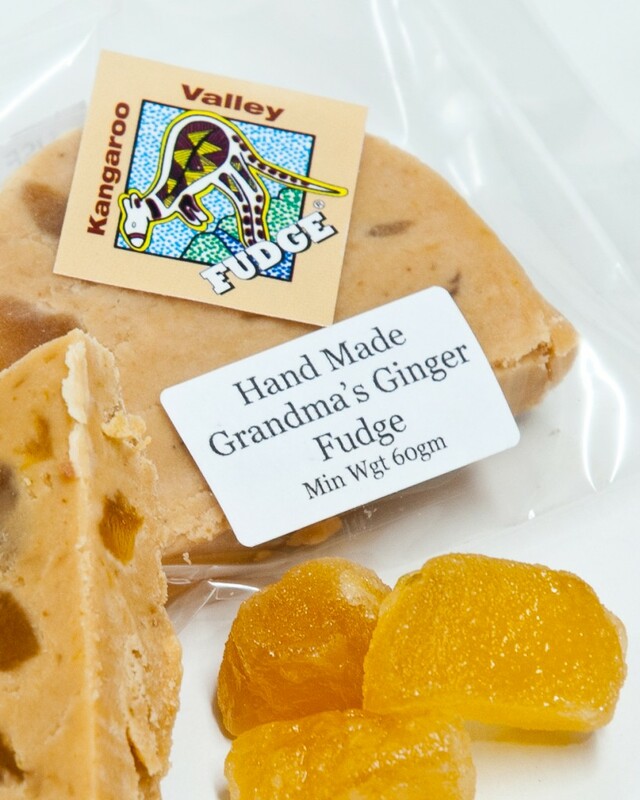 So why ‘Grandma’s’ Ginger…well not only is this Grandma’s absolutely favourite flavour of our handmade fudge..it also includes one of granny’s favourite foods… Australian Buderim Ginger! 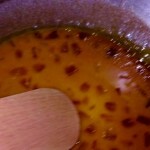 One of the tricky fudges to cook (as if you don’t constantly stir the pot it all sticks to the bottom…not good! 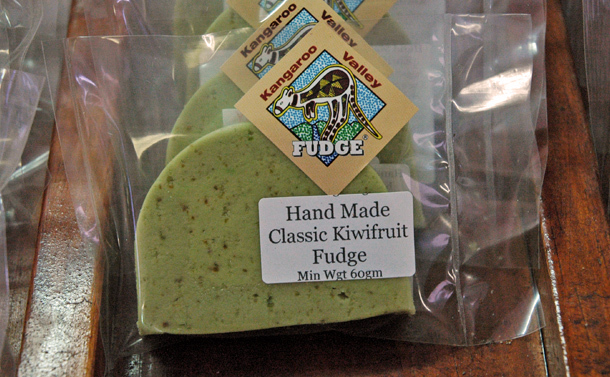 ), this is another fudge house favourite. 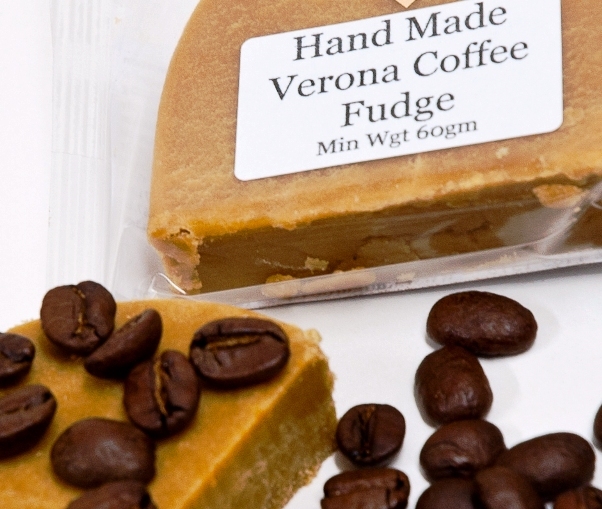 All of our handmade fudges are boiled to different temperatures (that is why fudge making really is more art than science! 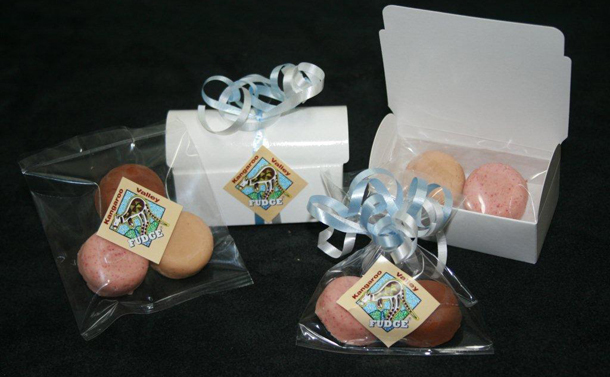 ), then they are allowed to cool, are hand beaten (normally Mick’s job), then hand moulded and allowed to cure before we cut them, bag them and send them out into the world to sweeten your day!